Objective: To design clear guidelines for the staging and follow-up of patients with uterine cervical cancer, and to provide the radiologist with a framework for use in multidisciplinary conferences. 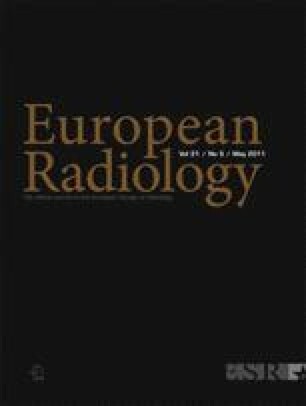 Methods: Guidelines for uterine cervical cancer staging and follow-up were defined by the female imaging subcommittee of the ESUR (European Society of Urogenital Radiology) based on the expert consensus of imaging protocols of 11 leading institutions and a critical review of the literature. Results: The results indicated that high field Magnetic Resonance Imaging (MRI) should include at least two T2-weighted sequences in sagittal, axial oblique or coronal oblique orientation (short and long axis of the uterine cervix) of the pelvic content. Axial T1-weighted sequence is useful to detect suspicious pelvic and abdominal lymph nodes, and images from symphysis to the left renal vein are required. The intravenous administration of Gadolinium-chelates is optional but is often required for small lesions (<2 cm) and for follow-up after treatment. Diffusion-weighted sequences are optional but are recommended to help evaluate lymph nodes and to detect a residual lesion after chemoradiotherapy. Conclusions: Expert consensus and literature review lead to an optimized MRI protocol to stage uterine cervical cancer. MRI is the imaging modality of choice for preoperative staging and follow-up in patients with uterine cervical cancer.